Sixth in an occasional series on how Harvard researchers are tackling the problematic issues of aging. A variant of the gene APOE, or apolipoprotein E, has been identified as a risk factor in sporadic Alzheimer’s. But having the variant doesn’t make the disease inevitable, and not having it doesn’t rule it out. Which has left scientists wondering what other non-genetic factors are at play. 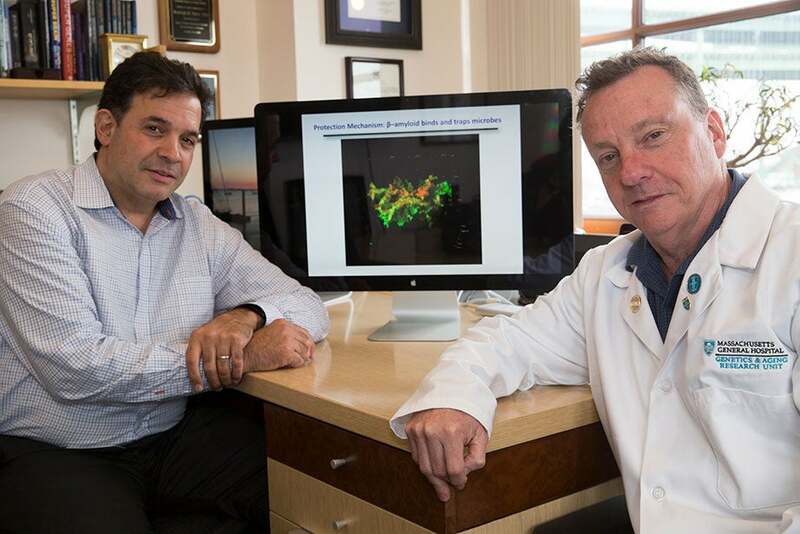 Figuring out what is and isn’t in the brains of Alzheimer’s patients is the logical next step, one that Moir and Tanzi are undertaking through the Brain Microbiome Project. The researchers are examining brain bank samples from people who died of Alzheimer’s with those who didn’t. In the initial phase, they are searching for viruses by scanning for their genetic material. When all is said and done, Moir said, it might be that Alzheimer’s is a “dysbiosis” of the brain, a sign that the microbiome is out of whack. Further, Tanzi said, if microbial culprits are identified, it might be possible to treat those infections early in life — possibly even with a vaccine — before the earliest plaques begin to form. A new study led by Elinor Amit, an affiliate of the Psychology Department, shows that people create visual images to accompany their inner speech even when they are prompted to use verbal thinking, suggesting that visual thinking is deeply ingrained in the human brain while speech is a relatively recent evolutionary development.